Despite what the slickest of snake oil salesmen will try to tell you, there is no secret sauce or golden formula for building a successful membership website. The key to the long term success of your membership site lies beyond marketing tactics, sales spiel and fancy production values; and the memberships which do best are those which – at their heart – understand and embrace a core set of fundamental principles. 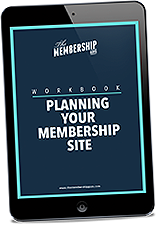 A short-term mindset won’t get you very far when creating a membership website; and if you’re looking for a get-rich-quick shortcut then you’re barking up the wrong tree. You’re playing the long game, which is one based on recurring revenue that will grow steadily over time. While that might not be as attractive as the prospect of selling high ticket items such as online courses, and the big spikes in revenue that those can bring; the recurring income from a membership gives you far greater stability and is a much strong base to build your business on long term. When you’re selling one-off products, making the sale is the the end of the journey. With memberships, getting that initial sale is just the beginning. Now your real work starts! 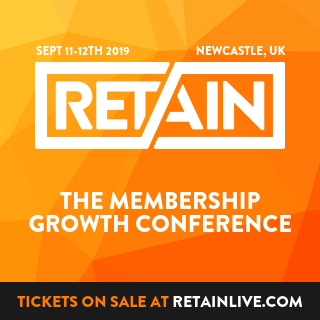 Holding onto your members is as important – if not moreso – than acquiring new ones; so you need to make sure you have a solid strategy in place for member engagement and retention. Otherwise you’re just constantly pouring water into a leaking bucket. Of course bringing in fresh blood is important, but make sure you’re not so focused on bringing people in the front door that you overlook the ones exiting from the rear. But the real reason people join memberships is because they have a result they want to achieve. 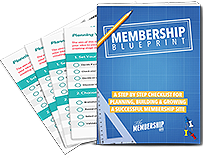 In joining your site, a member has assessed your memberships ability to help them solve their problems and get to where they want to go; so the primary purpose of your membership is to help your members accomplish their goals. Everything you do needs to be in service of that. When you have members paying you on a recurring basis, it has to be a no-brainer for them to continue investing in your membership month after month, year after year. Members will only continue adding value to your business – in terms of their subscription payment – for as long as you add value to their life or their business through helping them to progress towards their goals or providing other benefits of a value which outweighs what your membership costs them. You can’t phone it in. If you don’t care about your members, and you prioritise your own gain over helping them to achieve the results they joined for, then it’ll be obvious and people will end up leaving. In a similar vein, if your membership is based largely around you as an authority then it’s crucial that you… y’know… actually show up! If you’re not interested in being a part of your membership, why should anyone else? It’s common – and to some degree understandable – that many membership owners have an innate fear of member cancellations. Nobody wants to lose members, but it’s important to accept that it’s just part and parcel of running a membership. Your retention strategy needs to be more sophisticated than simply hiding the “Cancel” button; so avoid the temptation to try making it difficult for people to cancel in the hopes that forcing them to jump through hoops will simply frustrate them into submission. Instead, invest time in improving the member experience, nailing your onboarding strategy, engaging with your community and striving to help them to achieve their goals. Successful memberships are always evolving and adapting. An active member-base will be the best focus group you’ll ever have. Their feedback and the way in which they interact and engage with your membership will inform and shape its future. By continuously working to make your membership the best it can be, keeping up with new developments in your market and listening to your paying members you have a far greater chance of ensuring that your membership stands the test of time and remains relevant and essential to your community. Understanding and embracing these core principles will get you further than any new-fangled bit of technology or the latest “flavour of the month” marketing strategy; so make sure you’re setting your membership up for long term success by keeping these ideals at its foundation.